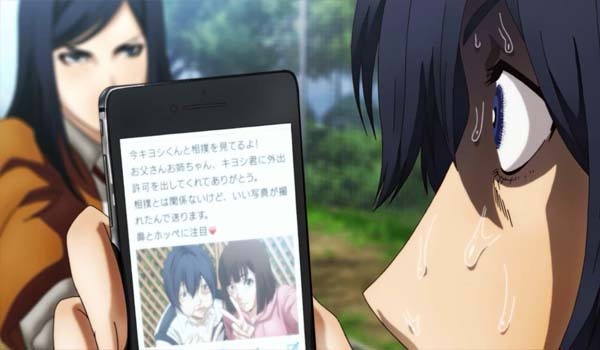 In this episode of Prison School, Kiyoshi will face the consequences of all his actions. 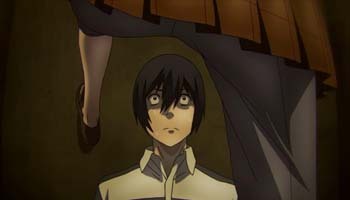 In this episode of Prison School, Kiyoshi successfully got back into prison, after sneaking out to have his date with Chiyo, but seeing him crying in the toilet should be enough to tell you that things are about to go bad for him. As expected, the Underground Student Council discovered that he escaped prison. Mari catches him wearing girl's shoes all beat up from his escape. Meiko then searches his bag and discovers the uniform he tore. The icing on the cake is the photo Chiyo took of their date. Chiyo is actually Mari's sister and it looks like Kiyoshi's luck just ran out when he unknowingly dated the Underground Student Council President's little sister. This episode sets up a lot of the story arcs that seems to be important in later episodes. The most exciting is Codename DTO by the Underground Student Council. 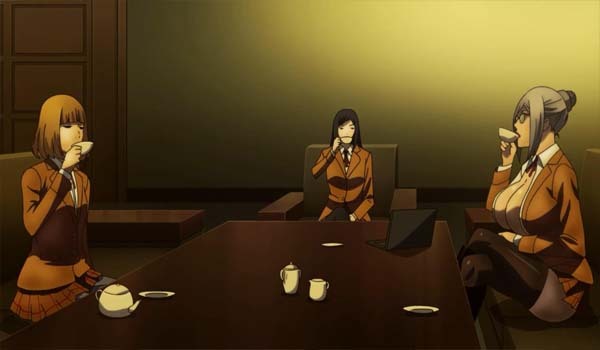 Mari's wrath motivates her to devise a plan that will expel, not only Kiyoshi, but all the inmates. It's only introduced for now but the psychological chess game between the two groups is about to finally start. In this episode, Mari gathers information on the boys, focusing on their weaknesses. It looks like Mari loves mental torture and it's a good thing considering the other members prefer physical punishment. Codename DTO is a plan that targets all the prisoners but it also looks like an unintentional way to band them all together. The prisoners working as a unit will have to wait because there is a big divide for now. 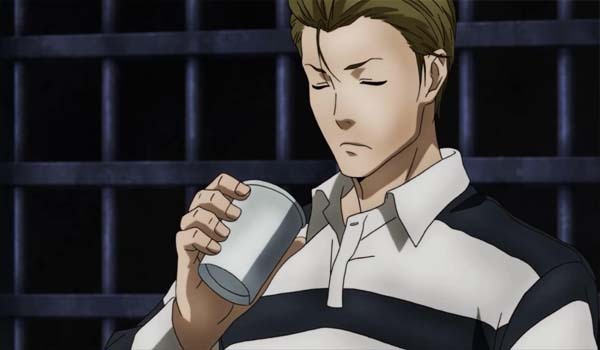 Kiyoshi escaping prison, and not telling anyone, pissed off the other inmates. Led by Shingo, the group is now ousting Kiyoshi. It's not about their extended sentence. They're angry because Kiyoshi didn't tell them about his plan. Going on a date with a girl sealed his fate. It'll take some time for him to regain their trust. Shingo seems to be acting as the pack's alpha that even Gakuto is forced to go along with him. The best moment would have to be Hana coming back. She was gone for a couple of episodes thanks to Kiyoshi. You can feel her utter contempt for him, and it wouldn't be surprising if she suddenly killed him on the spot. Things took a more interesting turn though when Hana asks Kiyoshi if is she is dirty, a call back from the last time they met. Is it just me or does Kiyoshi have better chemistry with Hana than Chiyo? Hana is sending subtle messages that she's into Kiyoshi but it is all speculation for now. It's not surprising if she does develop some feelings for him though, considering the things they've done so far. Chiyo being related to Mari makes her a very interesting character. She appeals to her big sister's soft side and, because of that, Kiyoshi is spared from the president's wrath. It seems she has some authority, considering she's related to the two figureheads of the school (the chairman and Mari). She doesn't know it though, and that makes her an interesting character knowing that any move she makes can impact the story. She warned Mari not to expel Kiyoshi, to which big sister immediately obliged. It makes you wonder just how far her authority can go. Shingo's character is slowly being built up for something big. If he is, indeed, the alpha male then he might incite the next prison break out attempt. 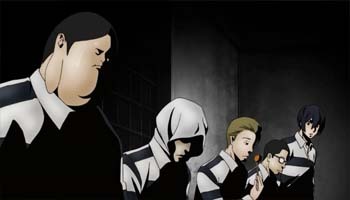 Kiyoshi already stated in this episode that he no longer has a reason to escape, so it looks like the spotlight is open for the taking. This episode concluded one story arc and is building up another so anything can happen at this point. Mari's DTO plan will be harsh though, that's to be expected. It'll also differ from the usual torture Meiko does to the inmates. 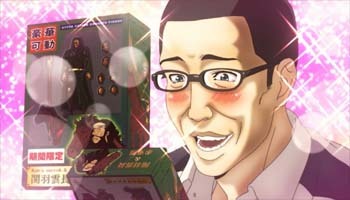 In fact, Gakuto's figurine might be a victim of Mari's DTO plan.